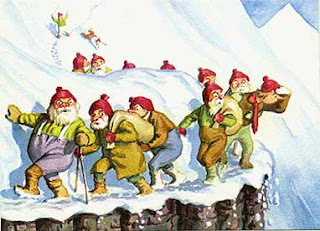 veryone celebrates Christmas in their own way, for instance in Iceland we have 13 Jolasveinar or Santa's. I hope everyone has a lovely Christmas with all of their family and special traditions. I look forward to hearing all about your Holidays next week! Merry Christmas dear friend. I count you as one of my 'best finds of 08'! I hope you and yours have a very wonderful day. Merry Christmas sweetie - enjoy yourselves. I hope someday to learn about the 13 Santas? adorable picture! merry christmas to you! have a beautiful day!